An anaerobic compound, formulated for sealing flat flanges on rigid machined surfaces with a cavity of less then 0.015". High surface adhesion properties assist in holding a seal in the housing or mating two surfaces together. 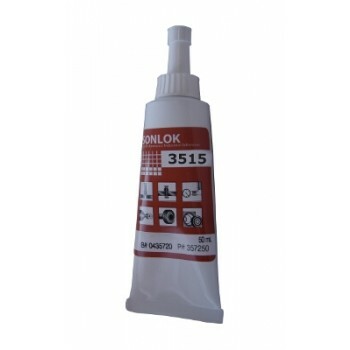 High viscosity prevents migration of the product from the sealing surfaces. Equivalent to Loctite 515.